Why do I have Migraines…..!! Migraines, a word that strikes fear or avoidance into nearly everyone and for good reason. If you suffer from Migraines then you know the fear to which I speak and if you’ve known someone who suffers from them then you understand what I mean about being willing to do anything to avoid them. At the core of my passion to invest nearly the last 21 years of my life to becoming the best chiropractor and Spinal Remodeling Specialist I can be is this fear as well as this avoidance. I too have suffered! However, there is hope, read Toni Cox Testimonial, she is just one of hundreds that have found relief, permanent relief, through the combination of Chiropractic and Spinal Remodeling. So what exactly is this thing called a Migraine? I’m no circulatory, hormone or toxin specialist, however, I am an expert in the neuro-musculoskeletal system and how they can directly and indirectly effect blood flow, hormones and detoxification. An abnormal curvature of the neck leads to strain on the spinal cord and the vascular system that supplies nutrients to that spinal cord as well as causes the supporting muscles to undergo excessive strain and spasm. 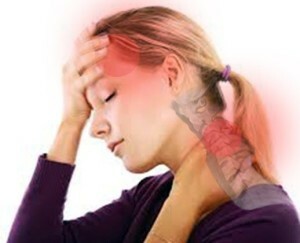 Through the strain of the spinal cord and the arteries around that area there is a direct and proportional negative effect to the function of all the organs those nerves supply, including the hormone production and regulation systems and the detoxification systems, all of which leading to migraines. Toni Cox, like many others, have experienced over 7 years of migraine relief as a result of correcting the abnormal curvature in her neck. Are you ready to experience life without migraines?